Everything You Need to Know to Stop Foreclosure Now! 100% FREE Foreclosure Assistance This Report will explain the foreclosure process and educate you on all of the options that are available to you. The following is a report I wrote in 2008 when we were in the middle of the beginning of the financial crisis and the mortgage banking meltdown, so it is a little dated, but the information in it still applies in 2017 and beyond…. 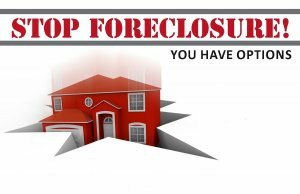 Everything you need to know to take control of your situation… and STOP your Foreclosure! So you’re facing foreclosure, right along with what seems to be 50% of the rest of the U.S population. Now, that may be a bit of an exaggeration, but my point is to let you know that you are not alone. In fact, if you think about all your friends, family, and the people you work with I would almost bet that you know someone else who is going through, or has gone through the same thing recently (even though you may not be aware of it). Bad things happen to good people, and although it feels like you are the only one to go down this road, I assure you that you are not. As I write this (July 1, 2008) there are literally over twice as many foreclosures as there was this time last year, which was up over 25% since 2006. Many of the biggest lending firms in the U.S. have filed bankruptcy, and several Real Estate companies have gone belly-up. It is not an easy time financially for anyone, but when you throw in an illness, job-loss, divorce, bankruptcy, adjustable rate mortgage, or any other situation that can trigger a person to get behind on their payments, it makes it near impossible to keep up. Now, I realize that you could have gotten any of that information from the local or national media, so what’s the point of me writing this foreclosure report? I have been helping people in foreclosure for quite some time now, and people simply want to know what their options are. Most investors and foreclosure specialists are more than happy to tell you, but they generally require you to meet or conference with them to get the information you need to help yourself. Many of them will even try to charge you several thousand dollars to help you find a solution that you could have easily found on your own. Every option is something you can work out either on your own, or with very little help. Foreclosure in North Carolina is a non-judicial process. So what does that mean? Basically, since NC uses a Deed of Trust as a mortgage contract, this method of foreclosure simply means the lender can foreclose on the property without the assistance of the courts. There is a Power of Sale clause in your Deed of Trust that allows the lender to accelerate the payment of the loan if you can not make your payments. This means that you have to pay your back payments, or pay the loan in full, or they will foreclose to re-coup their losses. The sale of your property must be performed by a trustee which can be any agent or attorney appointed by your lender. Once your lender’s attorney (or your lender) files a Substitution of Trustee, you should receive a letter noting the change to your Deed of Trust, or at a minimum that they have begun the foreclosure process. The next document you should receive is a Notice-of-Hearing, you will receive this by certified mail, registered mail, or return receipt. However, it could be posted in a conspicuous place on the property not less than 20 days prior to the date of the hearing. If they still can not verify they were able to reach you, a notice by the Sheriff will be posted on the property no less than 20 days prior to the hearing. If any person listed on the deed-of-trust or property deed is not served prior to the hearing, the clerk will postpone the hearing date, no less than 10 days from the date of the original hearing, and a continuance will be sent in the mail to the property owner’s last known address. This letter will specify the time and place of your hearing, and it shouldn’t be served to you any less than 10 days prior to the hearing. The hearing is held in front of the Clerk of Court, and it simply allows the lender to prove they have the right to foreclose on the property. You should go to this hearing and explain what steps you are taking to rectify the problem (which we will get in to later). If you have already found a buyer for your property, you should take the contract with you. Either of these simple steps may get the Clerk or the Trustee to postpone the foreclosure sale date a little further to allow you more time to work out a solution. The next thing you can expect is the Notice-of-Sale, which specifies the actual foreclosure sale date. Most of the time the sale date is in the Notice-of-Hearing as well, but not always. The Notice-of-Sale will be posted in the area of the court where the public notices are posted no less than 20 days immediately preceding the sale date. The notice will be published once a week for at least two weeks in the newspaper (this will be whichever local paper publishes legal notices in your county). The date of the last publication shall be no less than 10 days prior to the sale date. The Notice-of-Sale shall also be mailed by first-class mail at least 20 days prior to the sale date. So, basically if all the notices are delivered in a timely manner and everything goes perfectly smoothly for the lender, you have approximately 6 weeks before your property is sold at foreclosure. However, it generally takes around 60 days, I’ve seen the process go faster, and I’ve seen it go slower. It just depends on how efficient the lender and their Trustee’s processes are. Now, let’s get to it! Lets look at your five options, what they are, and what you need to do to find out which option will work for you. The majority of the information here is simply common sense, but you’d be surprised how many people play ostrich and stick their head in the sand, hoping the problem will work itself out (like I did 7 years ago when I was facing bankruptcy myself). Oh, it’ll work itself out, but it will involve you being evicted and left with no options. Please note that if you have already received your notice of default it is important that you act immediately, each day that passes reduces the options that are available to you. Please keep in mind that only 1 out of every 5 homeowners will qualify for a realistic solution and prepare yourself for that reality. But, the sooner you act the more likely you will qualify. This isn’t an option for the masses, but it may be a very viable option for about 10% of you. As I am sure you are well aware, if you have gotten to the point that your lender is foreclosing your credit is likely at an all time low. Two years ago there were several lenders who would still help you get financing to bail you out, however due to the overwhelming number of foreclosures ALL of the lenders have tightened up, and it is very difficult to get refinanced. If you do not think your credit has taken that big of a hit AND you do not owe more than your house is worth, simply start contacting some lenders and see if they can help you. If you have some equity in your home, you may be able to take out a line of credit, or a 2nd mortgage. However, lenders generally do not like to do this because your already considered “risky” and for that lender to be in a 2nd position is very risky for them (basically, if you fall behind again there is a big chance they won’t get anything back once your home actually sells at foreclosure). But, I still hear that there are a few lenders out there that will do this, even though it does not make sense for them to do so. I must apologize, but I do not have any lenders I can refer you to, I have not worked with anyone for almost a year whose credit was still good enough to refinance (and the market has changed drastically since then as well). Mortgage brokers & small local banks might be a good place to start after checking with your current lender, they have access to several different loan programs and may still be able to fit you with one if your credit has not suffered a huge hit. Otherwise, any internet search for “Mortgage Lenders +Bad Credit” will return thousands you can choose from. You will know after speaking with a few of them if you and your house qualify. Keep in mind if you keep trying and trying with different lenders your credit will take a small hit (your credit score will go down further) each time they access your credit report, each inquiry can adversely affect your credit. Borrowing is another option that is not going to work for everyone, and honestly you really have to swallow a very large dose of pride to be able to do it. There are a number of people you can try to borrow from, and in my experience they are usually the people that homeowners simply do not want to find out that they are in this situation (Family, Friends, Co-Workers, Church members, etc…). However, if you think there is someone (or a group of people) that could, and would lend you the money to help you out, you have to determine if you are in a place financially that you can continue with your mortgage payments AND pay your benefactor back the money you borrowed (just as if you refinanced). Just because you CAN borrow the money (or qualify to refinance) does not mean you SHOULD. However, if you have recovered and are able to keep up with those payments, you then have to determine what is more important, your pride or saving your house? Forbearance – This is likely the first option the bank is going to suggest for you, simply because it is the best option for them, but from a financial standpoint it is generally not the best option for you. A forbearance is simply where the lender takes all of your back payments, penalties, and fees and finances them over a period of 12 – 24 months. So essentially you have to keep up with your normal loan payment, as well as the forbearance payment. To give you a little perspective, if you owe $10,000 in back payments, you will have to pay approximately $600 per month in addition to your current mortgage payment. You can see how this might pose a problem to someone already having a very difficult time financially, and if you happen to be one of those who had an adjustable rate mortgage and your rate has adjusted 3 times in the last 6 months, more than doubling your existing mortgage, this almost creates a perfect storm of financial problems. However, there are people who recover, they find a better job after being laid off, or they are able to return to work after an extended illness, and they are able to keep up with all the extra payments. If this is you, and you can handle it, that’s excellent, this may be an option for you. Workout-Agreement (sometimes called a Mortgage Modification) – If you are determined to keep your house and you can afford a little extra in monthly payments, this is the best option for you. A Workout-Agreement is simply where the lender takes all of your back payments, penalties, and fees then attaches them to the end of your mortgage balance, then refinances the entire amount over a normal mortgage term (i.e. 30 years). For instance, if you owe $10,000 in back payments and you have a mortgage balance of $180,000, they would refinance the entire $190,000. In this scenario your payments would likely be around $1,500 per month give or take (which doesn’t include insurance & taxes). Your payment will run a little higher because the interest rate they give you will probably not be that great, but depending on how long you had been paying on your previous mortgage, or how high your ARM had adjusted, this increase may not be as bad as you expect. I have actually worked with a few clients that this option decreased their monthly payment. This is a less popular solution for the lender, since they do not get paid what they are owed immediately, so they may try to force you in to the forbearance option. Unfortunately to qualify for this option, your credit still has to be somewhat in tact, but regardless of whatever you think about your credit, if you think this option will work for you, you need to request it. 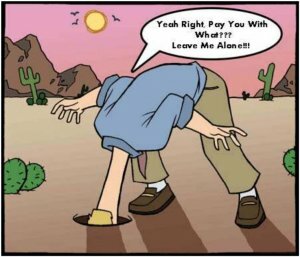 This is generally the option most of my clients end up facing, even if they do not want to sell. There comes a point when you have to make a decision, is it more important to you to use all your resources to try to keep this home, or move on and start over? If you have a fair amount of equity in your property, it should be fairly easy to sell the home quickly. You may even be able to do it yourself. There are several discount brokerage firms that could list your home on the MLS (Multiple Listing Service), so that all of the other Real Estate agents in your area know the house is up for sale. Plus, there are several free web-sites you can advertise your home on: Craigslist.com, Backpage.com, etc… and several local penny saver papers. By trying to sell quickly you may not profit as much from the sale, but it is a small price to pay to be able to move on with your life. The problem is, what if you do not have any equity in your home, your home needs a significant amount of repairs, or both, what do you do then? Regardless of what you may think, or what you have been told, there is still an option that may apply to you. As lenders have become inundated with houses and foreclosures continue to rise, they have begun accepting lower offers as payment in full for your house, this is called a ShortSale, and all lenders are accepting them now (with the exception of some small local banks). Lets say you owe $180,000 total on your home, your house is worth about $185,000 in perfect condition but it needs $10,000 in repairs. There are several factors involved, but for our purposes your lender would likely accept an offer of $145,000 to $155,000 as payment in full for your property, in-lieu of it going to foreclosure. The lender has to go through a process to approve the offer, and there are risks involved if you do not have a qualified short-sale negotiator in your corner. Most Realtors are aware of short-sales, but the majority of them simply don’t understand them, and the ones who are listing short-sale properties still do not fully understand the process. We have purchased many properties using this method, and helped several homeowners out of what seemed an impossible situation. As investors we offer homeowners a way out. Whatever effect a short-sale has versus a foreclosure on one’s credit score pales in comparison to the long term harm of a deficiency judgment and the inability to be approved for a loan for years to come. In my opinion filing bankruptcy is not really an option. It is true that it will stop the foreclosure dead in its tracks, but it is only a temporary fix, as soon as the bankruptcy is discharged the lender will proceed with the foreclosure…. It is like putting a band-aid on a broken leg. If you are seriously considering filing bankruptcy, contact a local bankruptcy attorney to discuss your options. I truly hope this report has given you the information you need to make an informed decision about your situation. Remember, you are not alone, if you have any questions at all, or if we can help you in any way please don’t hesitate to call. We have helped many homeowners just like yourself through this situation, and we can help you too! **DISCLOSURE: KPML PROPERTIES IS NOT A LEGAL OR FINANCIAL ADVISORY COMPANY. NONE OF THE ABOVE SHOULD BE CONSIDERED LEGAL OR FINANCIAL ADVICE, AND YOU SHOULD ALWAYS CONSULT AN ATTORNEY, FINANCIAL ADVISOR, OR ANY OTHER NECESSARY PROFESSIONAL BEFORE PURSUING ANY INFORMATION INCLUDED IN THIS DOCUMENT. YOU SHALL RELEASE, DISCHARGE, AND RELINQUISH, DEFEND INDEMNIFY AND HOLD HARMLESS KPML PROPERTIES AND ITS AFFILIATES, SUBSIDIARIES, AND VENDORS, AND EACH OF THEIR MEMBERS, SHAREHOLDERS, DIRECTORS, EMPLOYEES, AGENTS, REPRESENTATIVES, VENDORS, AND CONTRACTORS OF WHATEVER TIER (COLLECTIVELY, THE INDEMNITEES) FROM AND AGAINST ALL LOSS, CLAIMS, DEMANDS AND CAUSES OF ACTION OF WHATEVER KIND OR CHARACTER, INCLUDING WITHOUT LIMITATION COSTS, ATTORNEYS’ FEES AND EXPENSES INCURRED IN CONNECTION WITH ANY CLAIM BROUGHT BY ANY PERSON(S) OR ENTITY(IES) ARISING FROM, IN CONNECTION WITH, OR RELATING TO, YOUR ACCESS AND USE OF THIS INFORMATION. THE OBLIGATIONS TO RELEASE, DEFEND AND TO INDEMNIFY CONTAINED IN THIS SECTION SHALL APPLY EVEN IF CAUSED, IN WHOLE OR IN PART, BY THE JOINT, SOLE, GROSS OR CONCURRENT NEGLIGENCE, STRICT LIABILITY, CONTRACTUAL LIABILITIES OF THIRD PARTIES, OR OTHER FAULT, WHETHER PASSIVE OR ACTIVE, OF ANY PERSON OR ENTITY, INCLUDING BUT NOT LIMITED TO THE INDEMNITEES, JOINTLY OR SEVERALLY. YOU SHALL COOPERATE AS FULLY AS REASONABLY REQUIRED IN THE DEFENSE OF ANY SUCH CLAIM.